A while ago, the idea popped into my head that I should do a tour of the area dog parks and blog about them. 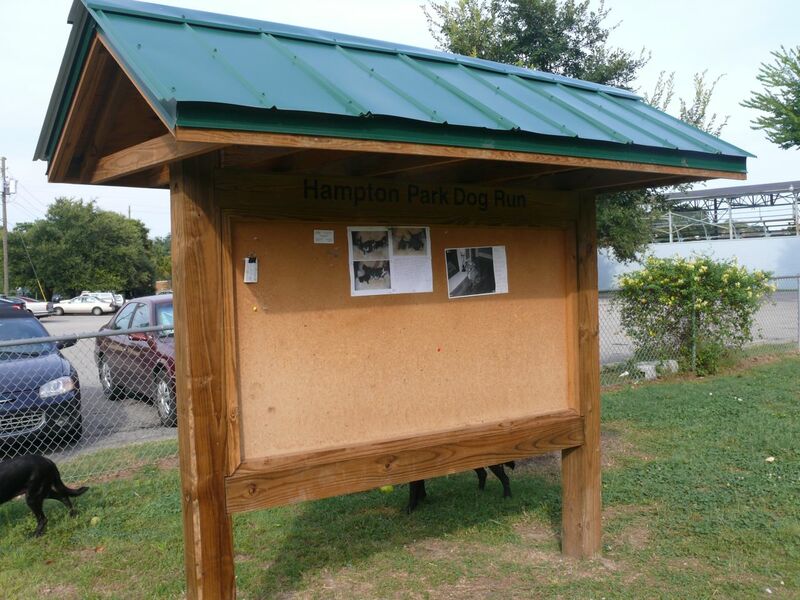 I’m going to start the series off with the one I go to most often, the Hampton Park dog run. 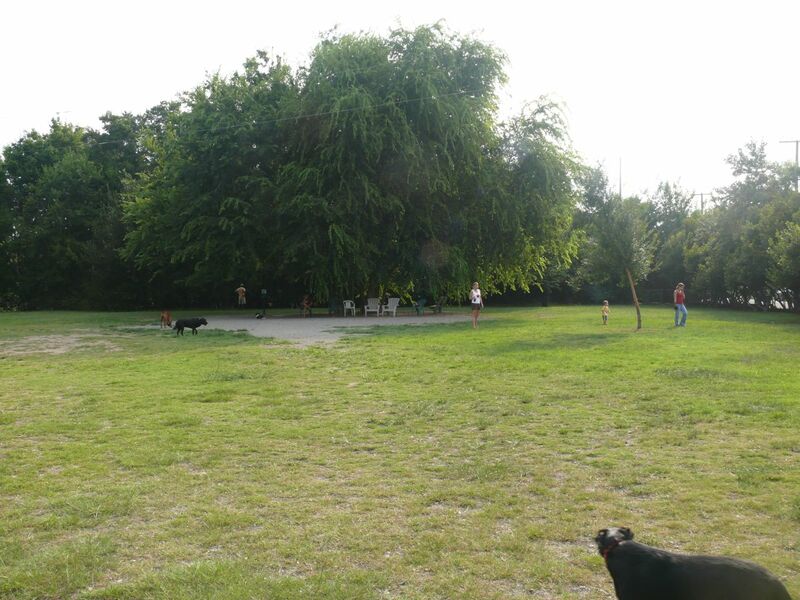 Located at the corner of Rutledge and Grove on the Charleton Peninsula (above the Crosstown), this dog park is a large fenced in area providing a large tree for shade, several benches lining the perimeter and a water fountain so the dogs can get water. Bushes line two sides of the dog park, and there are two gates (dog-lock style) opening into the parking lot and onto Grove St on the other side. You’ll find lots of local residents from the surrounding neighbourhood at the dog park during various times of day. The busy times tend to be early morning and late afternoon between 5-8PM (depending on the season). 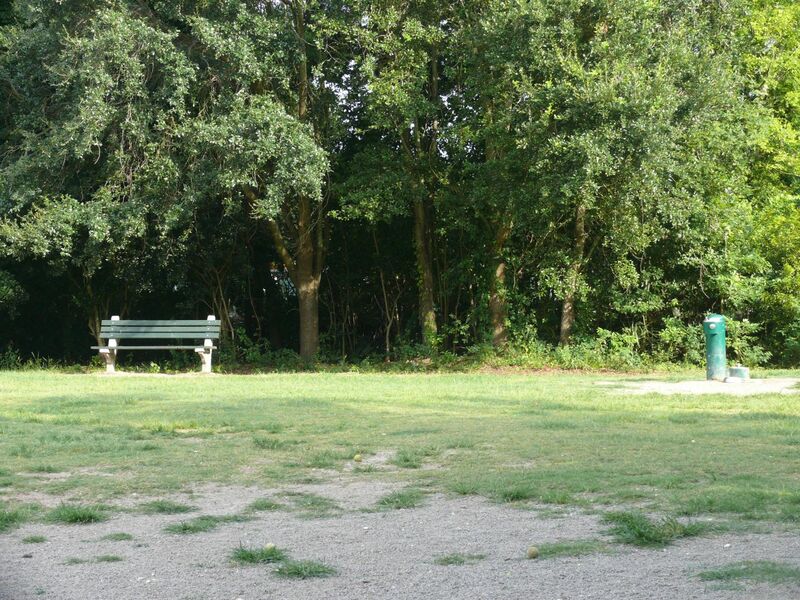 It’s a nice place for both dogs and people to socialize. An ample supply of tennis balls is ever present and new ones seem to appear out of nowhere periodically. If you bring your own balls or dog toys, prepare for them to be come community property for the duration of your stay. The dogs that frequent the dog park are all friendly, but it’s always a good idea to keep an eye on your dog because you never know when a scuffle might break out. There are a couple of poop bag stations that are usually filled most of the time as well as a poop scooper for cleaning up after your dog, but it never hurts to bring your own supply of bags for the rare occasion the bag stations are empty. Here’s a Google Map of the area around the dog park. The dog park is in the middle.